Nose: Apple crumble, expressed lemon peel and a touch of mango. Millionaire's shortbread, banoffee pie, coconut milk, dried grass, orange Turkish delight and cardamom. Notes: Haig Club Whisky Named for the founder of Cameronbridge distillery, John Haig, and created in partnership with David Beckham and Simon Fuller. 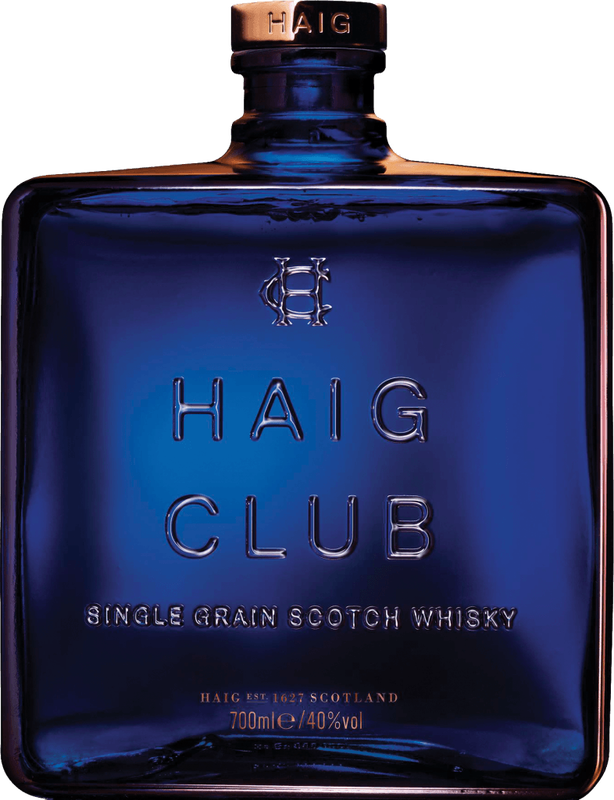 Haig Club Single Grain Scotch Whisky in its distinctive blue bottle is a light and sweet single grain whisky created to introduce and open up the world of Scotch Whisky to a new and younger group of Spirit Drinkers – Those who don’t think they like Whisky – Yet!